Looking To Find A Marriage Celebrant? Planning your wedding day can be a very busy and stressful, and filled with many to-do lists. There is so much to consider for your special day. A date, the weather that time of year, best venue and location, catering, flowers, wedding photographer, wedding video shoot, rings, a wedding dress, bridal parties, invites and on and on. But, here’s something else you need to consider: A wedding celebrant! So where does the celebrant officiating your wedding ceremony actually fit in? Many things about your wedding day are optional, but having a registered wedding officiant is not! Every wedding in New Zealand must have a registered celebrant, either independent or organisational, to officiate the wedding ceremony. You need to make finding the best marriage celebrant for your wedding ceremony one of the top priorities on your list of things to do, as you may end up having to contact several different wedding celebrants before finding the one that you know is perfect to officiate your special day. You like your wedding ceremony to be very special and memorable. Having the right marriage celebrant for you is super important as they will help ensure that your wedding ceremony is uniquely yours, special, and memorable. And as a registered wedding celebrant, I would like to share with you what I believe makes for a good celebrant, and for you to have the best chance of creating a beautiful and unique wedding ceremony on your special day. What makes a good marriage celebrant? It’s important to think about what is important to you for your wedding ceremony, and what type of marriage celebrant can help make that a reality. 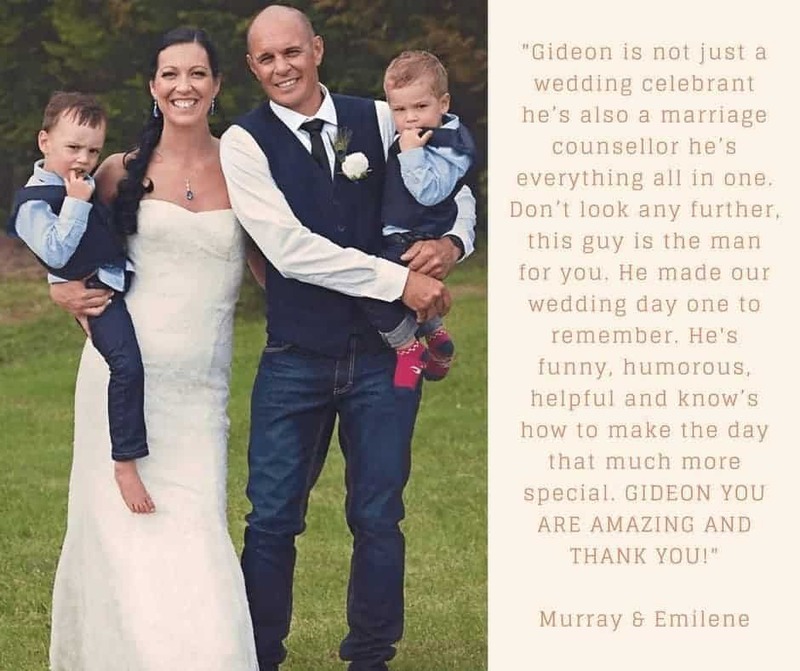 At the end of the day, you have to feel 100% happy with your choice of wedding ceremony celebrant before you commit to booking them. 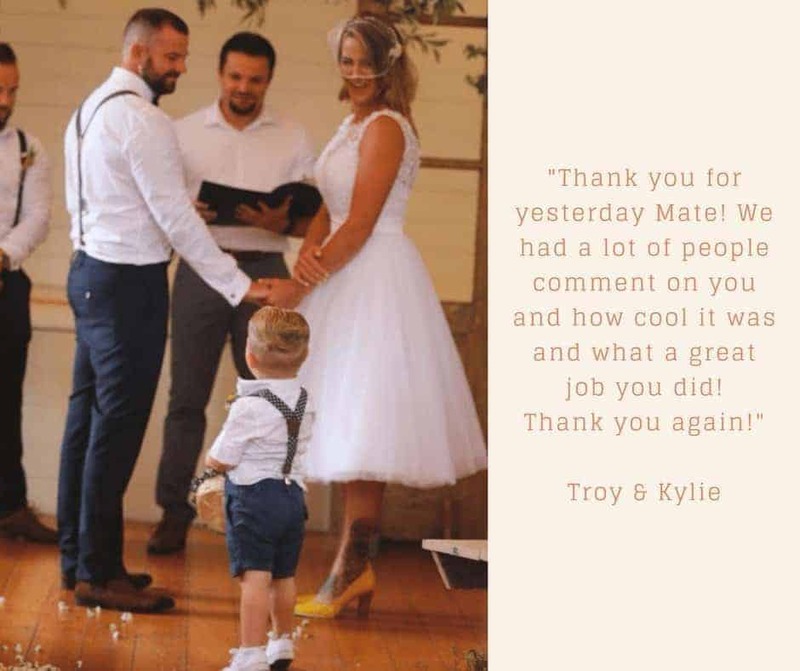 A good marriage celebrant is typically a great listener, communicator, planner, speaker, and will help you feel a sense of calm about your wedding ceremony and special day, at all times. 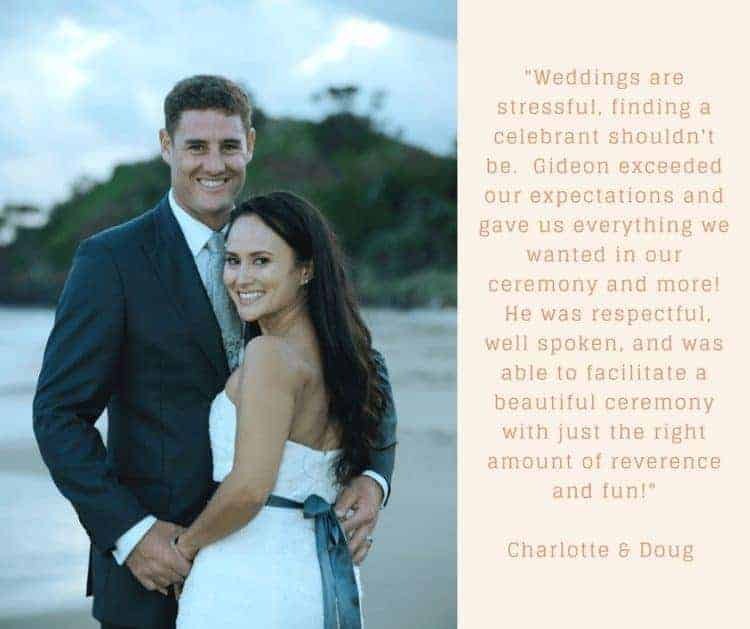 Good wedding celebrants are also responsive to the needs of the couple and are prepared to be flexible and creative to work in with the bridal couple getting married. This is what you should be able to expect from your marriage celebrant in New Zealand. Where do you find a marriage celebrant like this? I’ve officiated heaps of different weddings over the last 15 years, in different countries, locations, venues, languages, and even truly bad weather, working with couples to create their own special wedding ceremony. Before we can begin anything, we need to establish if I am available for your wedding ceremony on your special date. Once we’ve done that we can set a date and time to meet to collaborate together to discuss your plans, from location and size of your wedding ceremony to wedding vows, and everything in between. There is no charge for this and is of course 100% obligation free. I am located in Whangarei, Northland. But, if you’re out town or overseas and can’t travel, we can meet via Skype, no worries! With careful planning and a rehearsal, it is my role to ensure that your ceremony will run exactly as you wish, leaving you to just enjoy your wedding ceremony and special day. Your ideas for your wedding and share what I can offer you. This meeting is simply to establish if we choose to work together in creating your perfect wedding ceremony and special day. From here, we then begin to create the ceremony you have always imagined! No two ceremonies are ever the same, and just as each couple is unique, so should your wedding ceremony reflect that. Ideally as close to the ceremony date and time as possible with all the key people involved. This is an opportunity to iron out any issues that could arise on your big day and resolve these. It also calms the nerves and any worries or anxieties and allows all of the wedding crew to feel relaxed and confident about ensuring your wedding day runs with ease and grace. Our preparation together safeguards your day so it is absolutely stunning, runs smoothly is heartfelt, deeply meaningful and memorable for all the best reasons. What are my wedding celebrant fees? In places like Hamilton, Auckland, even Whangarei, marriage celebrant cost range anything between $350 to $1000 NZD. It’s difficult for me to put a fixed price at this stage without knowing the full details of your requirements for your special day. My cost reflects modestly the time, effort and quality of the service I provide. The absolute minimum cost is $350 there may also be some additional costs like ferries, travel and accommodation, particularly if it is out of Whangarei. Of course, I will travel to your weddings destination anywhere in New Zealand and the Pacific (travel and accommodation cost applies). I’m also offering premarital counselling! As a relationship coach, it’s my mission to see couples create healthier, happier, and more intimate relationships. However, couples oftentimes need some support and coaching to lay a foundation for a positive, committed, and love-filled relationship. No matter how long a couple has been together, or how well they think they know each other, the is ALWAYS more to learn about one another AND how to create happy, long-lasting marriages. That’s why I want to offer you the chance to work with me over the course of 4 weeks to make sure you are 100% prepared for married life. If this sounds like something you want to learn more about, go here. I’m an Independent Marriage Celebrant who can legally perform marriage ceremonies as a celebrant in New Zealand. All you need to do now is contact me for us to get started. I look forward to the possibility of working with you both in the future!